Uber on Tuesday fired the self-driving engineer at the center of its high-profile litigation with Google’s driverless car project, according to the New York Times. 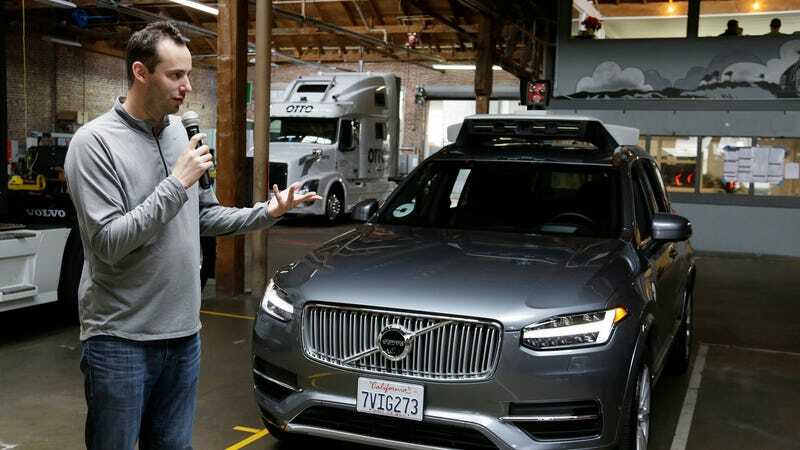 The move comes nearly two weeks after Uber urged the engineer, Anthony Levandowski, to comply with a federal judge’s order to turn over allegedly stolen autonomous tech files or else be terminated from the company. Levandowski’s termination—a remarkable development just under a year after Uber purchased his self-driving truck start-up for a reported $680 million–stems from his intimate connection to Uber’s ongoing litigation with Google’s self-driving car project, Waymo. Levandowski, a former Google employee, left the tech giant in January 2016 to launch the self-driving start-up that was later acquired by Uber. A message was left for an Uber spokesperson seeking comment, and we’ll update the post if we hear back. In February, Waymo filed a lawsuit against Uber, alleging that Levandowski stole 14,000 autonomous tech documents from Google before abruptly leaving the company—and that Uber’s own self-driving program has been developed with the aid of the allegedly purloined intellectual property. Uber has flat-out denied the allegations. Despite the recent provocation from Uber’s attorneys, the Times reports Levandowski has still refused to cooperate. William Alsup, the judge overseeing the Waymo case, said earlier this month that Levandowski’s decision to invoke his Fifth Amendment right to avoid self-incrimination doesn’t preclude Uber from firing him. Alsup ordered Uber to do whatever it needs to produce the allegedly stolen files; in turn, the start-up’s attorneys requested that Levandowski comply with the judge’s order to turn over the files, or be fired. “Over the last few months Uber has provided significant evidence to the court to demonstrate that our self-driving technology has been built independently,” Angela Padilla, Uber’s associate general counsel, wrote in an email to employees on Tuesday that was obtained by the Times. Update: Levandowski’s attorneys on Tuesday filed his termination letter in court as part of the Waymo case, though the company declined to comment beyond the letter itself. Levandowski’s firing is effective immediately, but his contract with the company gives him 20 days to change his mind and to cooperate with the court. If Uber agreed that Levandowski was in compliance after 20 days, he could be rehired. Uber’s in-house lawyers asked Levandowski to cooperate with the court on April 20, nearly a month after he invoked his Fifth Amendment rights in the case. He was asked again to cooperate two weeks ago in a letter that warned him he could lose his job if he refused. The court laid out a broad list of actions Levandowski would have to take, including undergoing physical searches upon entering LIDAR-related facilities and turning over his personal devices for inspection. Uber gave Levandowski a deadline of May 24 to comply, and when the deadline passed, he was fired.